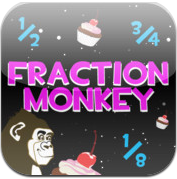 If your child needs help learning fractions, Fraction Monkey is your app! Shoot your answers with the monkey’s slingshot! You can explore 40 levels including the jungle, ocean and outer space! A bright, colorful presentation that makes practicing math fun! The inspiring music and combined with the great graphics make it very enticing! This app is presented by Math Game Time. I get better at this with time & it’s fun in the meantime! Choose from a variety of environments! What was the inspiration for Fraction Monkey? We created Fraction Monkey with the goal of making math more enjoyable for kids. We saw more and more parents handing their iPhones/iPads to their children and we wanted these kids to not only be entertained, but also improve their mathematical skills. What is your favorite aspect about the app? My favorite aspect of the app is creating an environment in which children have fun without realizing they’re learning fractions! which have become rather popular among parents. 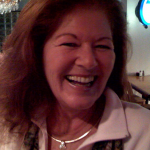 Please check out our contact links on iTunes and let us know what you think!